Back-to-school time makes us think about the dentist, because the connection between healthy teeth and student success is strong. But having healthy teeth is a privilege not afforded to all students or even all Coloradans. Colorado has substantial oral health inequities that require our attention and action. When someone has limited resources for health care, medical care almost always wins out over dental care when prioritizing treatment. When dental care is delayed, though, it causes a ripple effect through a person’s whole life. Emergency department visits for dental issues doubled from 1.1 million in 2000 to 2.2 million in 2012, and often the only option is to have the tooth extracted when the problem has gotten that bad. Missing teeth make it hard to eat fresh fruits and vegetables, and a resulting diet of soft, processed foods can lead to diabetes, obesity, and other health conditions. It also makes getting a job difficult and can destroy self-esteem, leading to depression and other behavioral health issues. The individual social ramifications of bad teeth are enormous, and the societal ramifications of oral health inequities are, too. 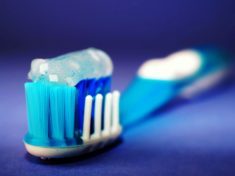 The Colorado Department of Public Health and Environment tracks oral health data, and has found substantial disparities across race and income. Among third-graders, 25% of black students have untreated tooth decay, compared to 16% of Hispanic and 13% of white students. Among adults, 48% of blacks and 43% of Hispanics have lost a tooth to decay or disease, compared to 35% of whites. Over 75% of adults making more than 250% of the federal poverty level have had a dentist visit in the past year, compared to 56% of those making less. These oral health inequities exist because of the failures of our health care system and the inequitable policies and practices of all our country’s institutions. It’s now been four years since Colorado expanded Medicaid through the Affordable Care Act, which also expanded dental coverage to many Coloradans who had previously not had access. Prior to expansion, 62% of Coloradans had dental insurance, and one year after expansion that number went up to 71%, but insurance isn’t enough. Adding insurance has narrowed the gaps on some oral health inequities, but not most, and access remains a big issue. There are seven counties in Colorado that have zero dentists or dental clinics. There are an additional ten counties with limited dental services—two or fewer dentists or dental clinics in the county. Many organizations across Colorado are hard at work getting our state closer to oral health equity. Delta Dental Community Foundation of Colorado is donating toothbrushes, producing theater shows for kids, and leading the Colorado Medical-Dental Integration Project, which brings dental hygienists onto medical care teams. Healthier Colorado has been a leader on bringing water fluoridation to more of Colorado’s communities, which strengthens tooth enamel and reduces tooth decay. In particular, this in an important initiative for Colorado’s Latino immigrants. At Center for Health Progress, we’re working to create opportunities and eliminate barriers to health equity for Coloradans, which means reducing oral health inequities. Now is a great time of year to prioritize dental health. Whether that's through supporting new legislation, building grassroots support for change, developing fruitful partnerships, connecting community members to resources, or taking yourself in for a check-up, we hope you’ll get started today.